Superdry women's Croyde Bay cable knit cardigan. 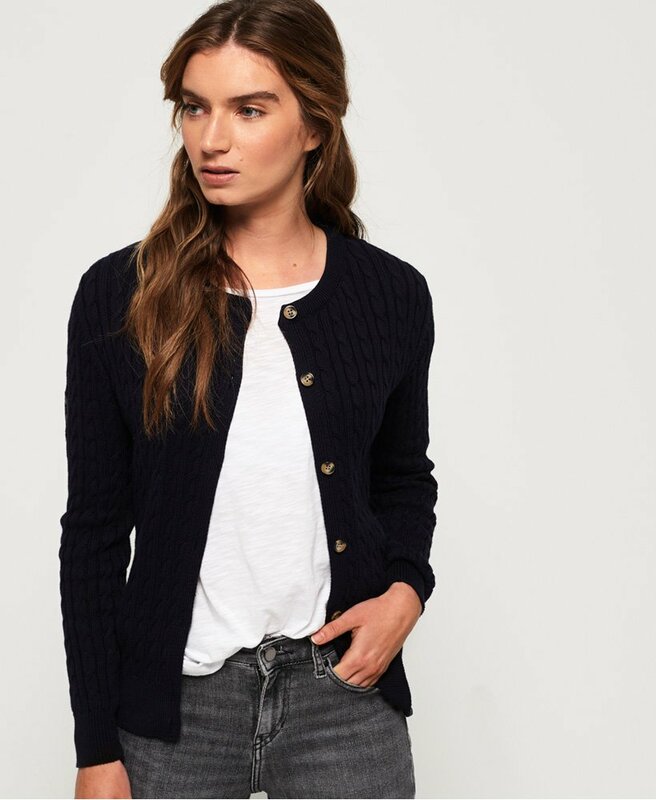 Layer up with this cotton cardigan, featuring a cable knit design, a button fastening and ribbed trims. The Croyde bay cable knit cardigan is completed with a Superdry logo patch on the sleeve and a logo tab in the hem. Wear over a lace t-shirt for an extra layer of warmth.